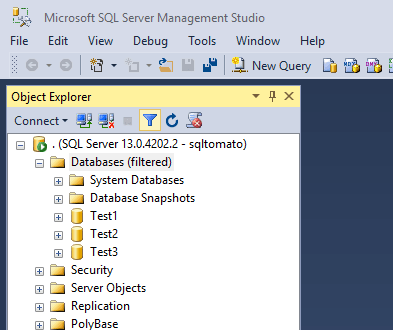 We’d previously looked at the fact you can pause SQL Server in the last post of SQL Server Tips. 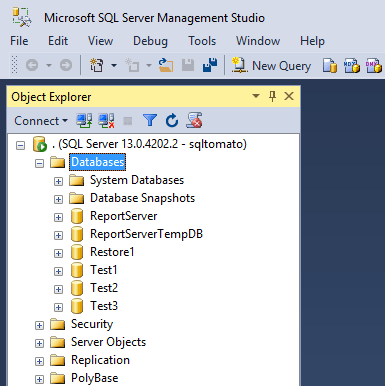 This time we’ll look at the Filter Objects SSMS functionality build into SQL Server Management Studio. 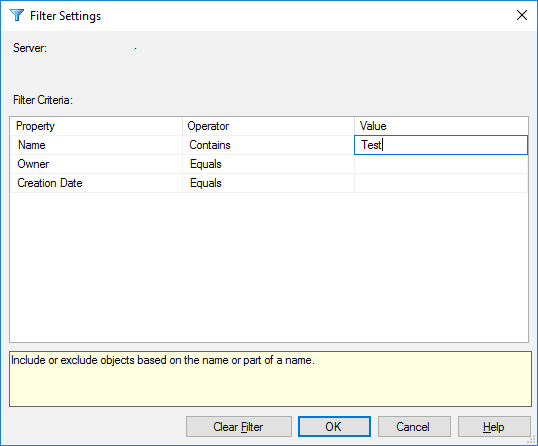 The filter option in SQL Server Management Studio allows us to selectively display only certain objects that we are interested in. For example, you may be working on a subset of data stored in objects all prefixed with ‘car_’ and you could filter on this to make the selection of objects reflect this. Then when using objects it will be easier and less error prone. 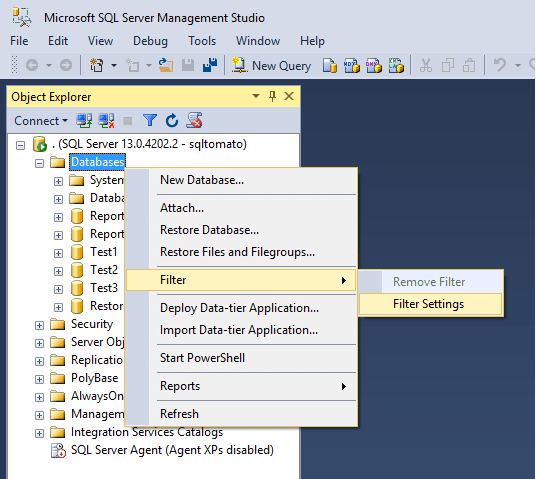 The filter option is very useful and is also available for tables, views and stored procedures.